It's unfortunate that it has become downright scary to feed our pets these days. Not only do we now worry more about nutrients and the quality of the ingredients, but we have to make sure the food we are feeding our pets hasn't been recalled due to contamination. It's alarming to hear about recall after recall. Pet food manufacturers are realizing how damaging these recalls can be, and reputable ones are taking drastic steps to ensure the safety of their food. 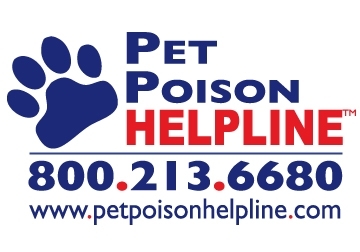 At Diamond Pet Foods, nothing is more important to us than the safety of our products. We adhere to stringent and scientifically advanced food safety protocols. We constantly monitor and test our raw materials, production environment, processes and finished products. By continuously improving performance with the latest advancements in science and technology, we've developed a comprehensive food safety system. So what is their food safety program all about? • on-site product testing: They test and monitor every part of the manufacturing process, including pre-production and post-production. • mycotoxin control: Diamond Pet Foods describes mycotoxins as "toxic chemicals produced by fungi that can appear in grains." They allow no grain ingredients to enter their facilities without being thoroughly analyzed, and they perform 1,075 mycotoxin tests every week. • microbial control and testing: The dreaded word we all hear is "salmonella." By adhering to a strict environmental monitoring program, Diamond Pet Foods analyzes the processing areas during production and after cleaning and sanitation. They conduct extensive tests, and ingredients must have a Certificate of Analysis, proving to be salmonella negative before being submitted to a Diamond Pet Foods Facility. * water and air quality: Integral in pet food manufacturing, Diamond Pet Foods uses a reverse osmosis water purification process and their zonally segregated manufacturing facilities are equipped with HEPA® filters. • test and hold program: No food is distributed without certified, independent laboratory tests. • independent good manufacturing practices audits: Every Diamond Pet Foods facility undergoes an annual Good Manufacturing Practices audit to verify that the pet food produced has the "identity, strength, composition, quality, and purity that it is represented to possess." • state-of-the-art facilities in the United States: With Diamond Pet Foods, we can rest assured that all manufacturing is done in the US and is carefully monitored and tracked. All of these practices help to ensure that the Diamond Pet Foods we choose to feed our pets are safe as well as nutritious. After researching their newest food, Diamond Naturals Grain Free in terms of safety, affordability, and nutrition, I felt confident letting N.A.S.H.A. try it when Diamond Pet Foods sent me a sample. Not only did I feel that she was getting a high-quality, safe food, but she was more than happy to partake and gave her review with a jump-up-and-spin, full-motion tail wag, and quick gobble. 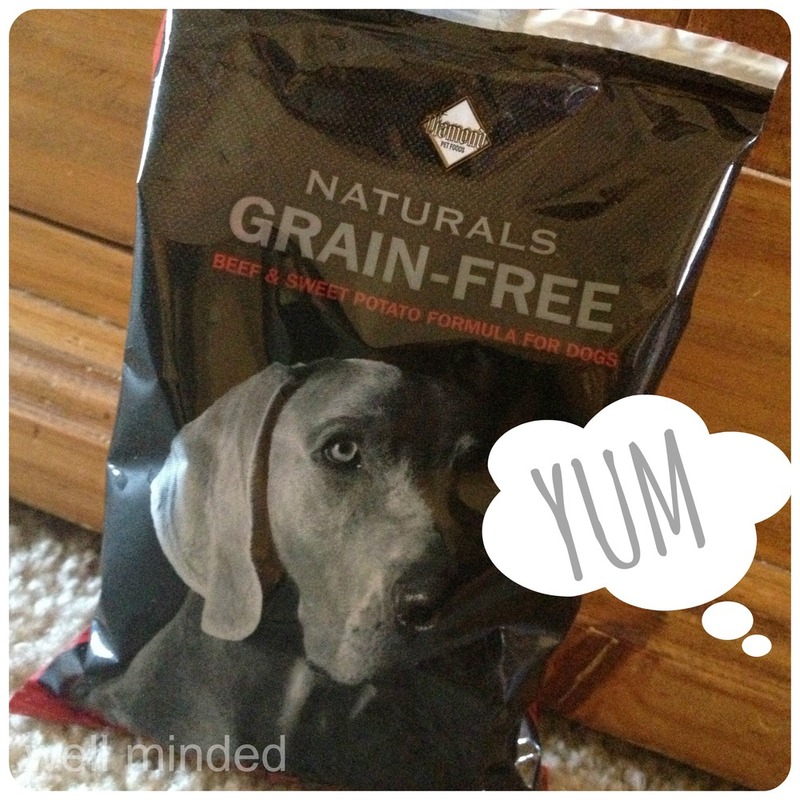 Diamond Naturals Grain Free passed the taste test, too. Diamond Pet Foods is giving away some sweet swag to our readers. How awesome is that? Please enter, share, and spread the love. Good luck! Connect with Diamond Pet foods on Twitter and Facebook. 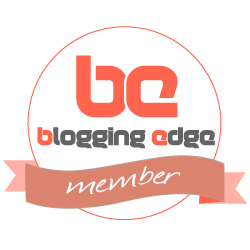 Disclaimer: This post is sponsored by Diamond Naturals as part of the Blog Paws Blogger Network. I am being compensated for helping spread the word about Diamond Naturals Grain Free dog food, but well minded only shares information we feel is relevant to our readers. Diamond Naturals is not responsible for the content of this article. Regardless of our financial situation, we all want the best for our pets, especially when it comes to health and nutrition. Grain-free dog food is associated with high-quality pet food, and high-quality pet food is associated with a high price tag. With few exceptions, buying a ten-pound bag of high-quality grain-free dog food will be more expensive than buying a bag of "chow kibble chemical nuggets." On the other hand, savings on vet bills and the likelihood that your dog will consume less food if it is nutrient-rich can really add up, which can completely offset the extra expense. So let's assume you're ready to switch your dog to a high-quality grain-free food. And let's also consider that you're concerned about the cost. I get that. Our family is on a budget, and I can say with confidence that I save money by feeding N.A.S.H.A. a high-quality, mostly grain-free diet. If you're, too, making this choice, then how can you find what you're looking for at a price your family can afford? There are so many great options in terms of food and in terms of where to buy that food, so where do you start? Let's start with the food, itself. And, for the sake of argument (and so this essay doesn't become War and Peace), let's look hard at one high-quality grain-free food: Diamond Naturals Grain-Free. This food is a great one to look at because it has the fiber that some grain-free foods are criticized for lacking, has high-quality ingredients, and it's also priced fairly in the market of options. They offer three varieties, perfect for rotation-feeding: Beef & Sweet Potato, Chicken & Sweet Potato, and Whitefish & Sweet Potato. Everything your dog needs for good health and nothing he doesn't. Though dogs have adapted to a domesticated, omnivorous diet over the centuries, a protein-based diet free of grains more closely mimics their ancestral beginnings. Dogs are able to digest grains, but their bodies don't break down grains as efficiently as they do proteins and fats. This is why a diet free of grains and made with limited protein sources is an excellent option for all dogs, but especially those with food sensitivities. Regardless of whether you serve your dog a grain-free diet or not, you want to make sure that the first ingredient in the food is a protein, so you want to avoid a grain-BASED food. How do you know? A grain should not be the first ingredient, and you should avoid low-quality grains, such as corn, gluten, or wheat flour. The first ingredient in every formula of Diamond Naturals Grain-Free is animal-sourced protein from trusted sources, for superior taste and nutrition. Sweet potatoes provide complete carbohydrates for all-day energy, while fruits and vegetables add powerful natural antioxidants for optimal health and vitality. Diamond Naturals Grain-Free is by no means your only grain-free or quality dog food option, but it is a great example of what to look for. So where can you get it, and is it affordable? We're lucky these days that we have so many options, not just in terms of what we purchase, but also in terms of where we purchase it and what we pay for it. If you're willing to put in a little bit of leg-work, you'll be able to find the food you want to feed your dog at a most reasonable price, and don't forget to look for online codes or local store coupons for additional savings. I first look to small local stores because I like to support my local community, and, as a small business owner, I choose first to support other local small businesses. One thing I've discovered about my local small pet store is that they are quite knowledgeable and willing to work with me. They haven't hired the teen-thing who is willing to work for minimum wage (no offense to teen-things who are willing to work for minimum wage...I have one! But I wouldn't want him advising me on dog food choices), but they hire people who, through experience, education, or both, know what the heck they are talking about and truly want to help you find the food that works best for you and your dog. You can ask them tons of questions, and they can give you options that will be most beneficial for your dog and won't put a strain on your pocketbook. I have also found that my local pet store is willing to provide me with samples. I get some snack-size pouches of recommended food, and I can analyze the ingredients and let my pooch do a good old fashioned taste-test. I mean, even if I purchase the best food ever made, it does no good if my dog won't eat it! Local small businesses often offer discounts or coupons in local papers, on line, or even if you just ask, so give it a shot! If all else fails, I hop online. I love online shopping. I can stay in my pjs, and I almost always feel like I get a great deal, because, literally, the retail world is at my fingertips. You can almost always find a coupon or code for a discount. The only disadvantage is that you're usually not shopping local that way, and you usually don't get that personal experience that can be so valuable, especially when the well-being of your pet is the question. What you get in exchange, that can be equally valuable, is a ton of anonymous (raw and truthful) product reviews. When I shop online, I rely on reviews. And I'm rarely dissatisfied with my purchase because I read them and take them to heart. So let's go back to our example, Diamond Naturals Grain-Free. Lucky for me, they have a "where to buy" function on their Web site, so I can check out whether or not there's a local store that offers it. Sweet! I found two local pet stores–within three miles of my home–who offer Diamond Naturals Grain-Free. One offered me a $3 coupon just for signing up for their loyalty club! I'd then look online. Diamond Naturals Grain-Free offers a function on their Web site that points you to online retailers who carry the formula. You may be loyal to a particular online retailer who offers you incentives to shop with them. Ask if they carry Diamond Naturals Grain-Free, and see if they will give you a discount if you purchase your dog food of choice from them. You can find some crazy deals online! Finding a suitable high-quality grain-free dog food that is affordable will be simple, when you know what to look for and where to go. When we're on a budget, we often have to be resourceful about purchasing what our family needs at an affordable price. Our dogs are family, so it stands to reason that finding a high-quality grain-free option that fits into our budget like the one from Diamond Naturals is a no-brainer! Connect with Diamond Naturals on Facebook. Disclaimer: This post is sponsored by Diamond Naturals. I am being compensated for helping spread the word about Diamond Naturals Grain Free dog food, but well minded word only shares information we feel is relevant to our readers. Diamond Naturals is not responsible for the content of this article.